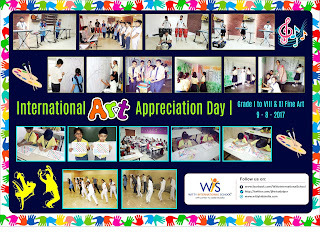 Wittians of Grade I to VIII and XI Fine Arts celebrated Art Appreciation Day by showing their artistic, creative and aesthetic sensibility towards the art work. 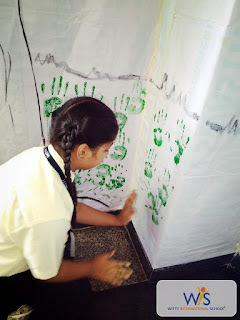 Students of Grade 1 and 2 students have shown their artistic expressions by pasting papers and bindies and by making snakes and rockets in their art book, students of Grade 3 &4 were shown an art movie ‘The Troll’ to know more about different periods in art history and art styles which was really entertaining and informative. 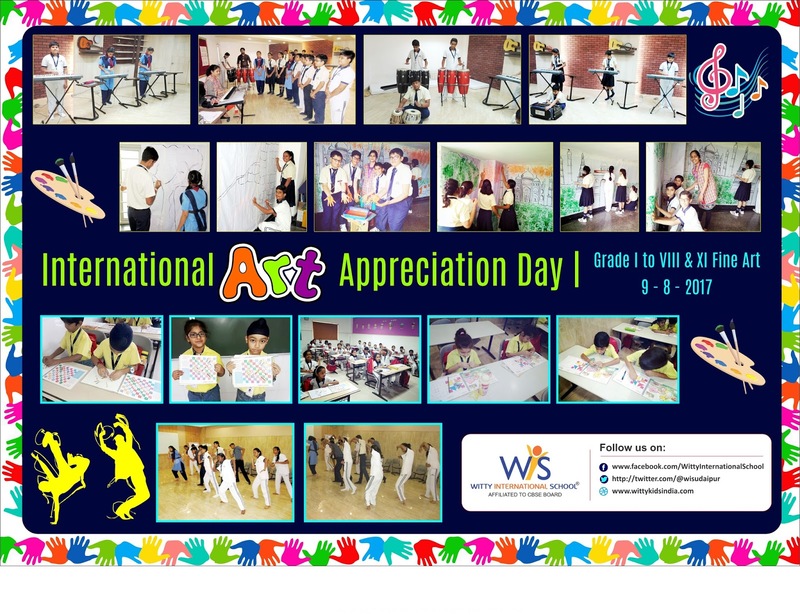 Wittians of Grade 5 to 8 and 11 Fine Arts were enthusiastic and famous work of art on the wall based on the theme “Make In India”. Students enjoyed exploring their abilities and talent.